Long hair, short hair, wavy or straight; no matter what kind of hair you have, you’ve probably experienced the Chia Pet look before. You know what I’m talking about – that out of control frizzy, fly-away hair that has a mind of its own. 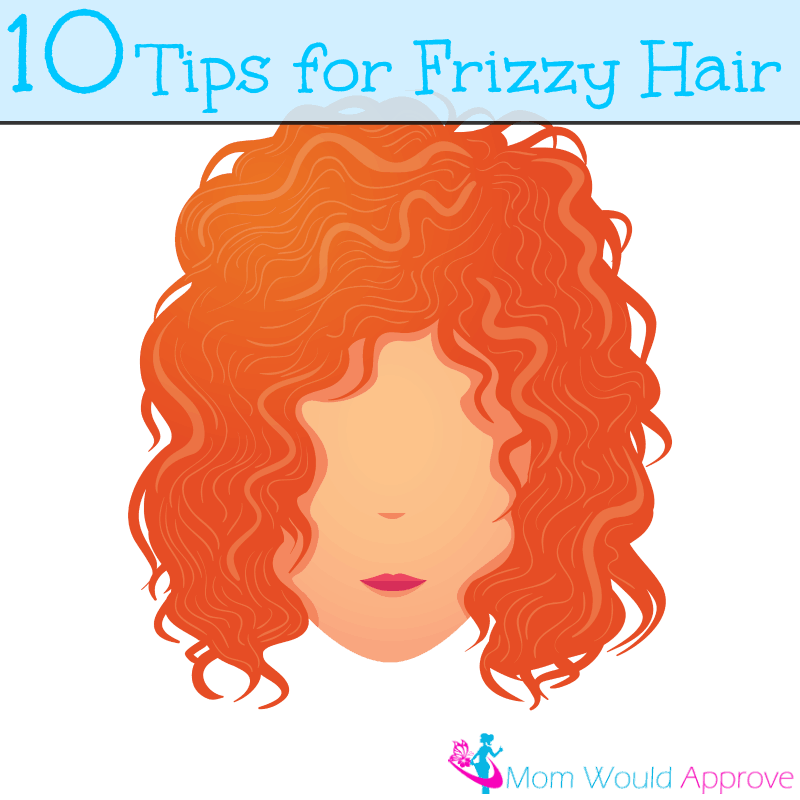 While frizzy hair isn’t completely avoidable, there are many things you can do to help prevent and control everyday frizz. If you’re looking for fabulous, frizz-free hair all day long, these tips can help. 1. Only brush your hair when it’s wet. In addition to being brittle, dry hair tends to stretch and break when brushed. After I shower, I carefully towel-dry my hair and then I gently comb it. 2. If you have a habit of ‘playing’ with your hair, stop. The more you mess with your hair after it is dry, the more you disrupt the cuticles, causing it to frizz up even more than it probably already is! 3. Refrain from shampooing daily. Washing your hair too often strips its natural moisturizers causing hair to look dull and flyaway. Try washing every other day. If you must shampoo daily, do so with a brand that is gentle on the hair like this one or try a dry shampoo. Styling products also strip hair of its natural oils so it’s important that you replace this moisture. When choosing a daily conditioner or deep conditioning treatment, select a protein-rich, natural oil brand like this one when possible. 5. Stop baking your hair! Sure, you can get great looks using a curling iron or a blow dryer but these wreak havoc on your hair. There are many beautiful hairstyles available that don’t require daily baking. I never blow-dry my hair, it makes it look all poofy. 6. Only use silk pillowcases. Pillowcases have a tendency to absorb your hair’s natural moisturizers and create. Switch to using a satin pillowcase to reduce friction and maintain moisture. 7. Use special frizzy control products. There are a handful of frizz control products out there, I use a lot of Garnier Fructis products since they have a whole line of frizzy control products. I especially love this one when I’m going out and I want it to have that curly wet look. If you cannot find them in your local supermarket, check at a salon or beauty supply store. There are many hair smoothing products you can buy but many are heavy or leave a residue that makes hair look dull. Instead simply add a small amount of watered down conditioner or detangling spray to the palm of your hand and gently smooth over your hair, taking extra care to get the ends. 9. Press hair, don’t scrub. When towel-drying your hair, don’t scrub your head. Instead, using a bath towel; gently press the hair to remove excess water, this is very important! I used to wrap the towel around my head and let it dry like that, but then started noticing that it just dries my hair out quicker. 10. Eat a healthy, balanced diet with lots of fruit and vegetables. Choose snacks such as nuts and seeds whose fatty acids keep hair beautiful and healthy looking. The benefits of this practice reach beyond your hair. What are you waiting for? Say goodbye to the outdated Chia Pet look and hello to the soft, silky, luxurious hair you never thought you could have. Excellent tips. Oh man if someone comes at me with a hairbrush it’s war!